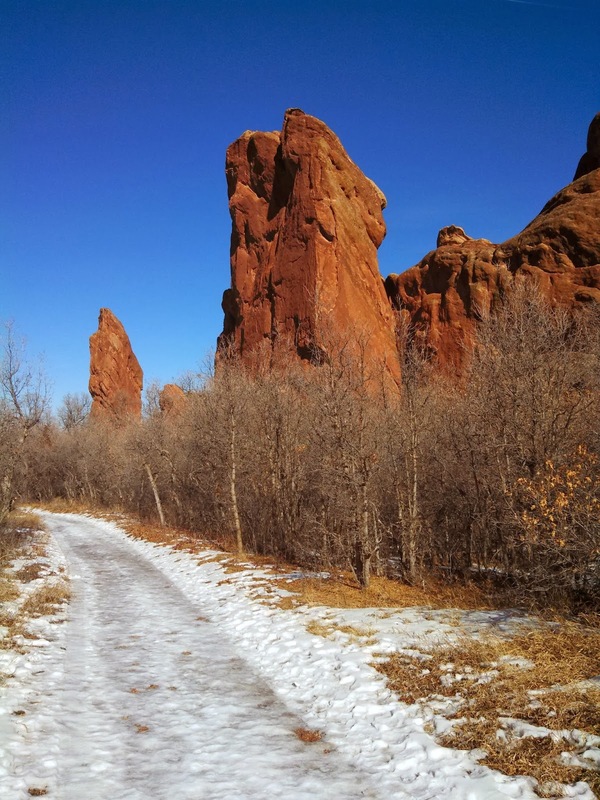 Here it is February already. Merry Ground-Hogs Day Eve, by the way. 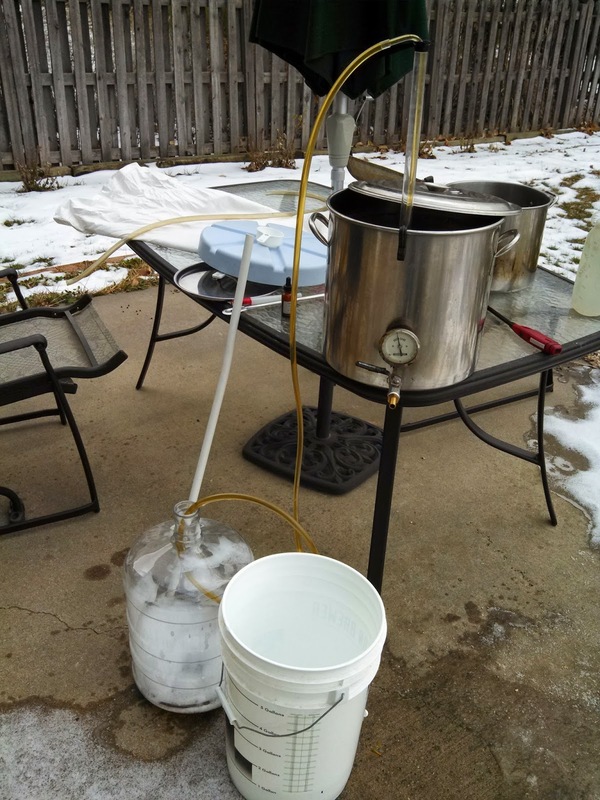 Have you noticed that I have not done a brew day post since Schnockered to Comfortably Numb, which was my last brew day of 2013? 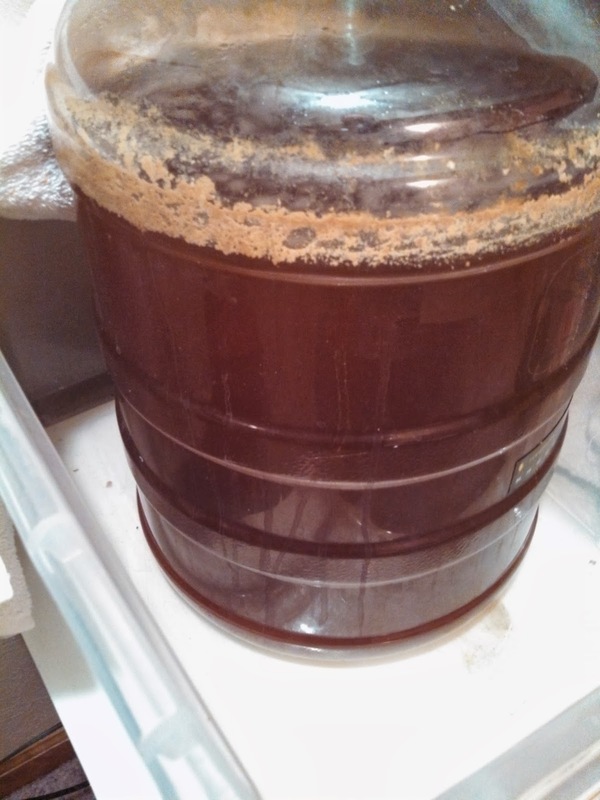 Well, I have brewed in 2014. I am just late getting the brew day blogged about. I brewed my She Who Must Be Obeyed almost 3 weeks ago. I kegged it last weekend. It has been in the keggerator under pressure most of the week. It is in fact almost ready to drink. 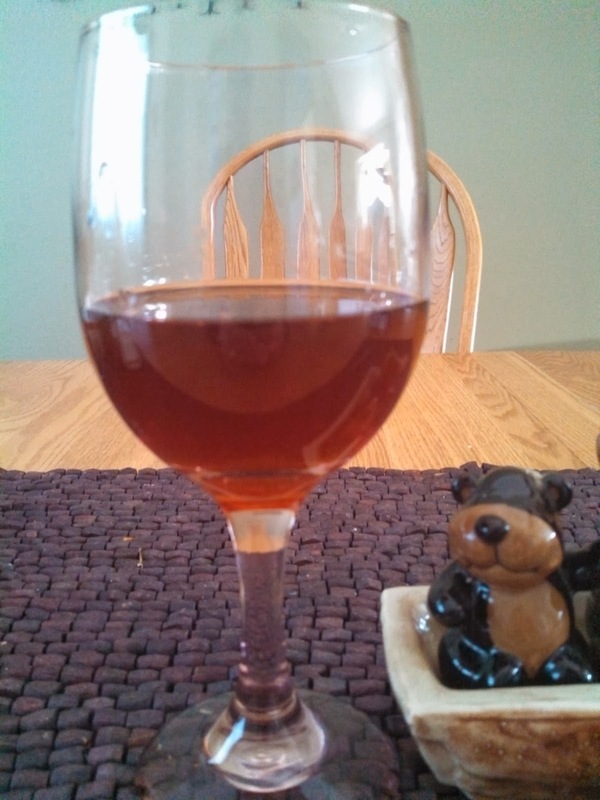 I tasted it last night, and it still needs carbonation, but other than needing some more bubbles, it is ready to go. 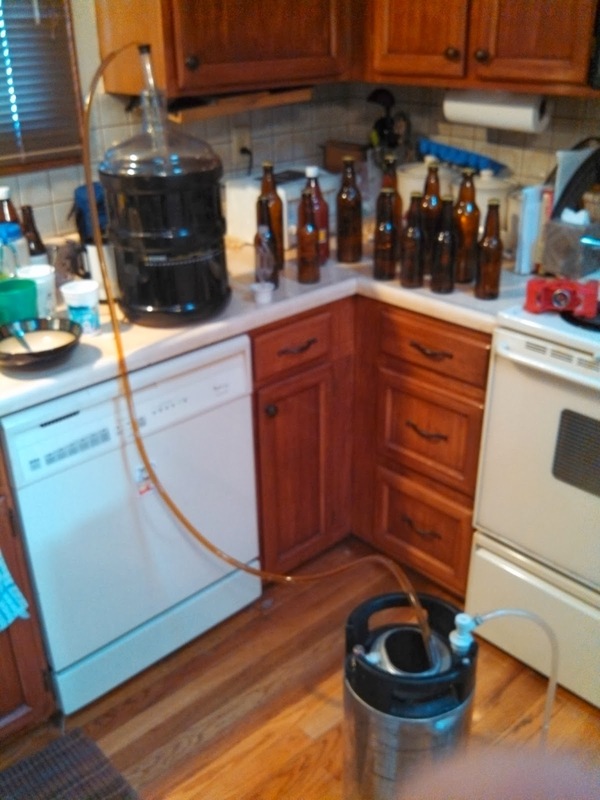 If you follow the SheppyBrew Facebook Page, you probably saw the brew day pictures. If you don't already, PLEASE go like us. You may remember that I first brewed She Who Must Be Obeyed Wheat back in August when I needed to get something brewed for my wife to drink out of the keggerator, but didn't really know what to brew. I sort of put together pieces of different recipes to come up with a new beer. It turned out to be one of those beers that both of us like. It is a wheat beer, but if I were to give it a style, I think I would call it more of a Belgium Pale Ale. 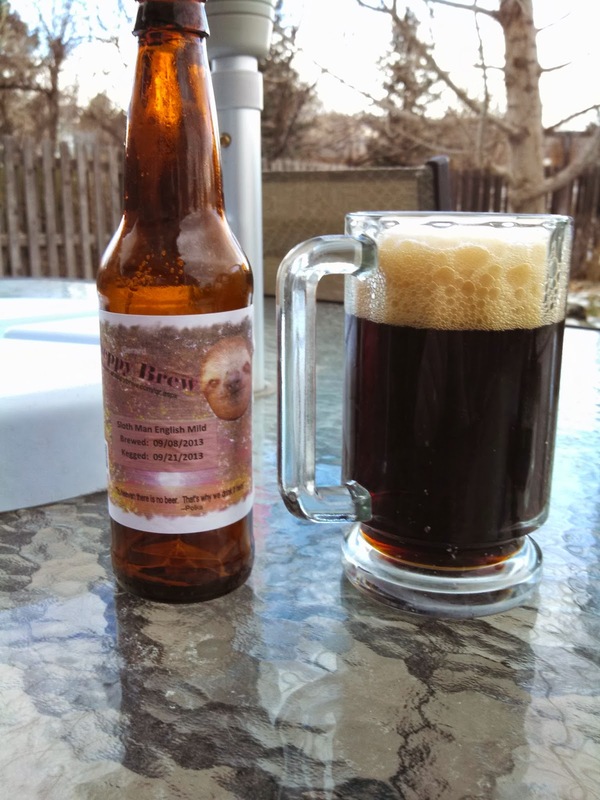 It is easy drinking, balanced beer with a nice amount of biscuity malt flavor. It is a very nice beer. So, after the holidays, and running out of the Brunette, Read Head, and Blonde (actually officially killed the Blonde off the keg last night), I thought SWMBO was a good beer to start 2014 with. 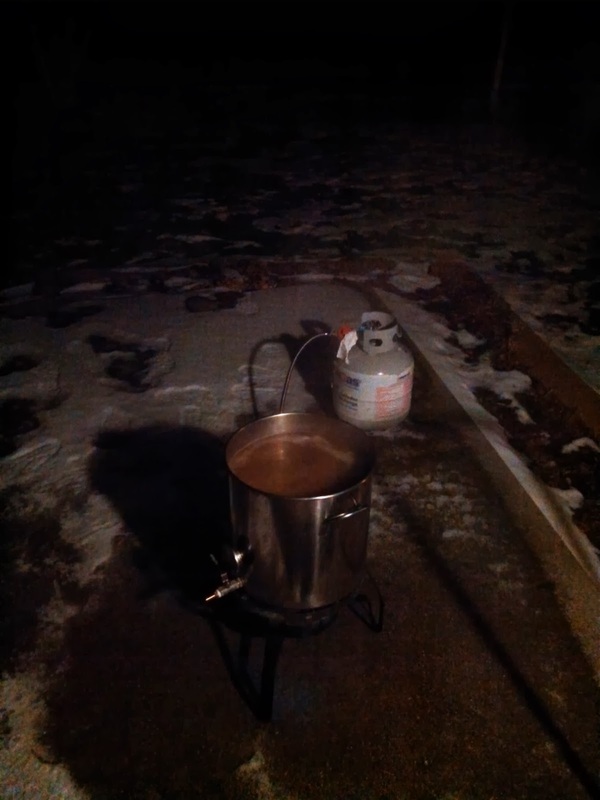 Brew day was another early Sunday morning start. 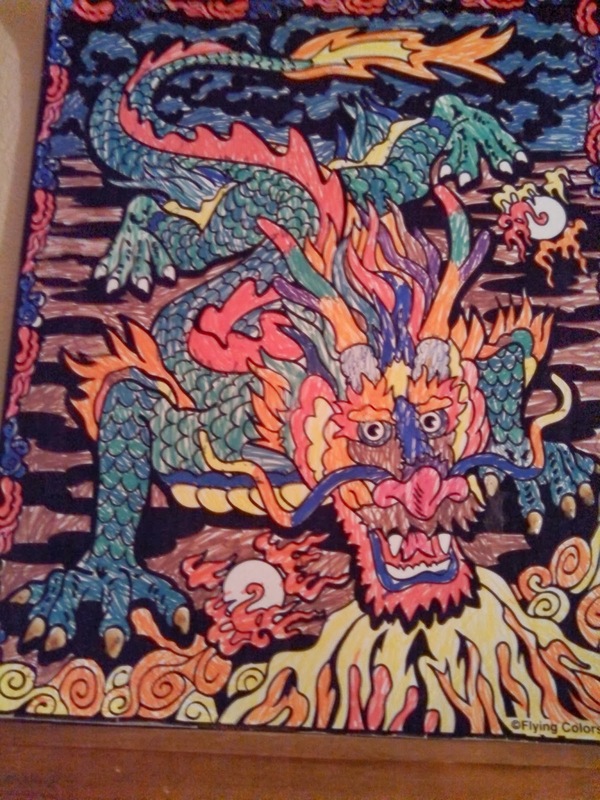 In fact, I had this one pretty much finished before going to church. As far as I remember, everything went fine. It was almost 3 weeks ago, though, so who knows what I forgot. 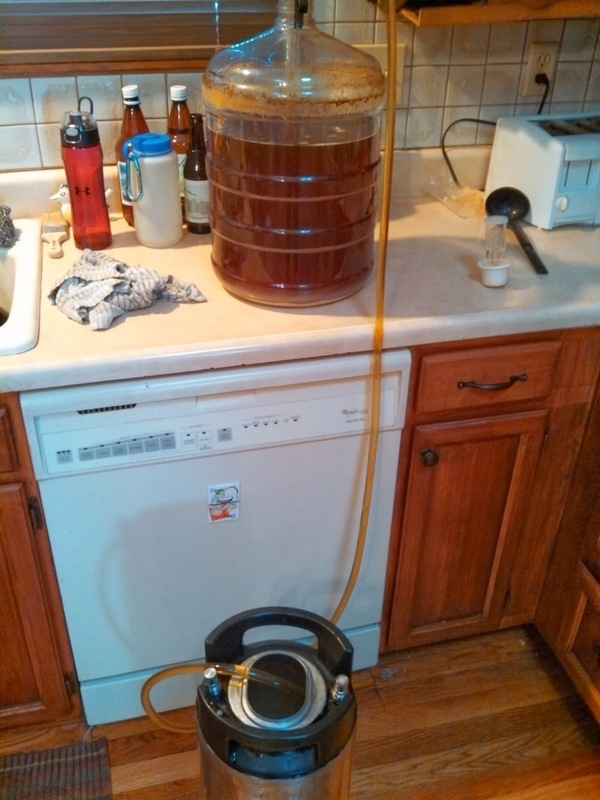 Filling the carboy early in the morning. Fermentation also went well. Nothing much to report there. Of course, my Schnockered to Comfortably Numb Barleywine was fermenting the same time. 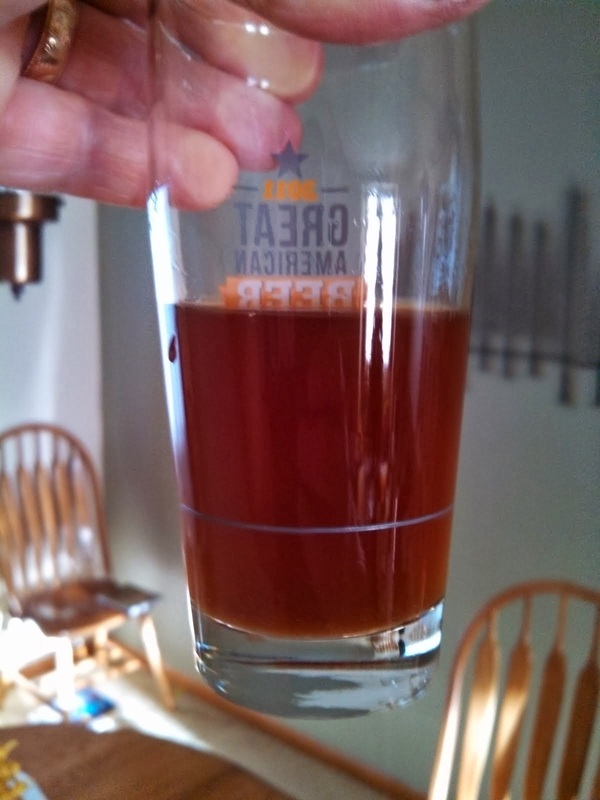 Schnockered is my first Barleywine and my biggest alcohol beer so far (turned out right at 10% abv). It is also the last of the beers I had to brew in my quest to have brewed at least one batch in all 23 BJCP Categories (see SheppyBrew Styles). It is big and hoppy with about 88 IBU (calculated with the Rager formula). It really have a nice big (almost wine-like?) flavor. It should turn out really good. Last weekend, I kegged up both the SWMBO and the Schnockered. 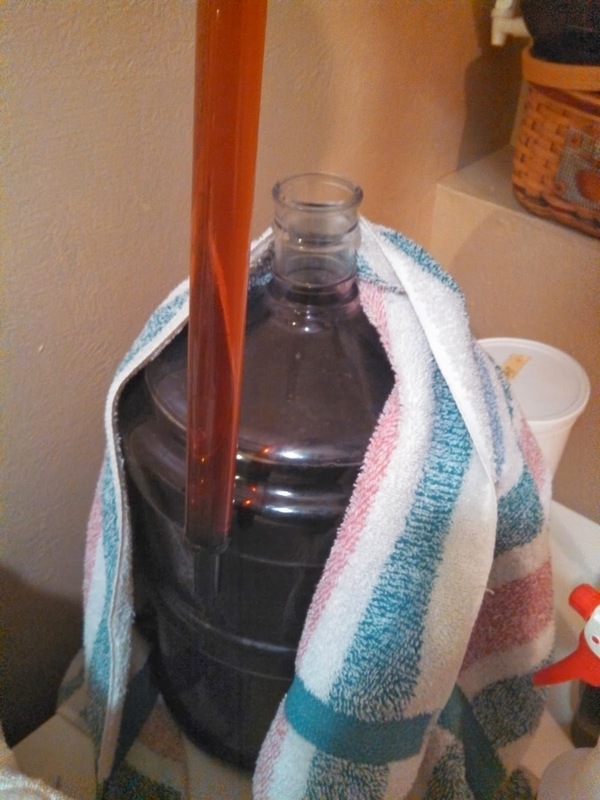 Schnockered ended up with a 1.018 FG, putting the ABV right at 10%, which is right where I wanted it. 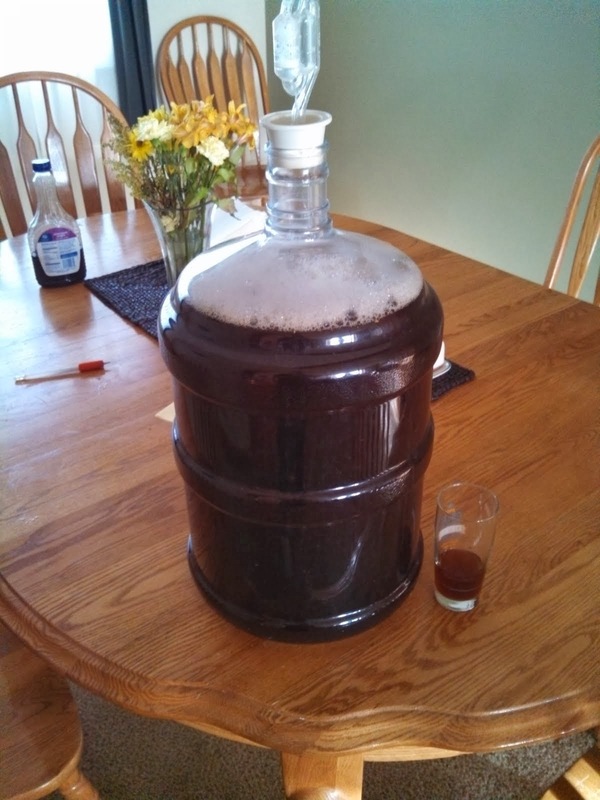 SWMBO ended up with a 1.010 FG, making it a 5% ABV beer. Again, right where I want it. Now, I need to let Schnockered age. The rest of my kegs are now empty. Wetta Blonde and Boo Berry Wheat both disappeared last night. Need to brew up some more beer again. So, there you go. That is the SheppyBrew activity over the past few weeks. 2014 has been a slow start for brewing. We'll see if we can pick up the pace a little bit. Super Bowl is tomorrow. Go Broncos! I really need to brew something. I haven't in a little bit. I plan to upgrade my equipment, though... so I'm kind of waiting for that. Just seeing these pictures and everyone talking about being gets me antsy lol glad your beer is ready to go!